This was absolutely the best eye exam I have ever had. Everyone was very friendly and knowledgeable. I asked a lot of questions to the tech, Dr. Consor, and the eyeglass technician Nanette assisting in selecting the perfect pair of glasses and at no time did I feel rushed or that they did not have time to answer all my questions. The tech gave me tips on how to get the best results from the exam. The doctor pointed out several things he seen about my eyes that previous eye specialist doctors have never mentioned. Very thorough education of the condition of my eyes for each test results performed. 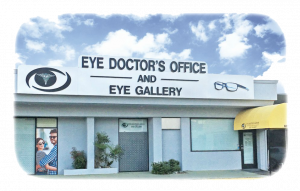 I was very impressed and would highly recommend Eye Doctor’s Office.